Trains from Bucharest . . . 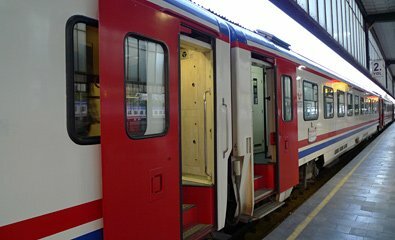 This page explains how to travel comfortably by train from Bucharest to other key European cities, and how to buy the cheapest tickets. Click here if your journey starts in another city. Train information current for 2019. At Bucharest Gara de Nord, international tickets are bought from ticket window 1 in a room marked Case de Bilete with a large blue sign, not far from the information kiosk in the centre of the station, see the photos here so you know what to look for. Domestic trains within Romania can be booked online at the Romanian Railways website www.cfrcalatori.ro. Click EN top right for English. This is easy enough to use and normally happily accepts non-Romanian credit cards, although it only books the compulsory-reservation mainline trains, not local trains. Local tickets should just be bought at the station. Feedback is always appreciated! The privately-run Wasteels ticketing office at Bucharest has closed. Tip: A swish new night train with sleepers & couchettes is now running between Bucharest, Simeria & Arad run by private operator Astra Carpatic, see www.astratranscarpatic.ro (click LIMBĂ top right for English). A direct sleeper train called the Ister leaves Bucharest Gara de Nord at 17:45, it also picks up passengers at Ploesti, Brasov, Sibiu & Simeria, and arrives at Budapest Keleti at 08:50 next morning. It has economical couchettes in 4 & 6 berth compartments and a comfortable, safe and civilised Romanian air-conditioned sleeping-car with 1, 2 or 3 bed compartments with washbasin plus several deluxe sleeper compartments with en suite shower & toilet. A sleeper is the recommended option, you'll be safe and snug, although couchettes are fine. A bar-bistro is attached between Bucharest and Simeria, serving drinks, snacks and hot dishes - or take your own picnic and bottle of wine along. In spring & summer when it's light, the journey through the Carpathian mountains between Ploesti & Brasov is beautiful. Booked online in advance, fares start at €39 with couchette in 6-berth or €59 with a bed in a 3-bed sleeper. At standard tariff prices it costs €85 with a bed in a 2-bed sleeper, or €163 in a single-bed sleeper (I have yet to see any special fares in these accommodation types). Book this train online at the Romanian Railways website bileteinternationale.cfrcalatori.ro. 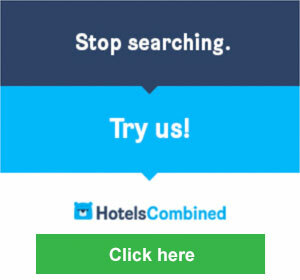 Click EN top right for English. Bucharest is listed as Bucuresti (Romania). Tickets must be collected from a CFR station ticket office in Romania such as Bucharest Nord or Brasov, so only use this site for one-way or round trip journeys starting in Romania. Feedback would be appreciated. Alternatively, tickets can be arranged at local prices by agency Paralela 45 Turism, www.paralela45.com. They can source train tickets starting in Bucharest, so far recommended by several seat61 correspondents. Feedback would be appreciated. 4 & 6-berth couchettes. Larger photo. There are a comfortable air-conditioned daytime trains between Bucharest, Brasov & Budapest. These Bucharest/Brasov-Budapest daytime trains take most of the day, but take a bottle of wine and a good book and enjoy the great scenery on an adventure across Romania, through the Carpathian mountains and into Transylvania. The Traianus leaves Bucharest Nord at 05:20, runs via Timisoara & Arad and arrives Budapest Keleti at 18:50. The Fogaras leaves Brasov at 05:25, runs via Sibiu and arrives Budapest Keleti at 17:50. The Hargita leaves Brasov at 07:00, runs via Cluj and arrives Budapest Keleti at 21:20. Buy tickets from just €29 at the Romanian Railways website bileteinternationale.cfrcalatori.ro. Click EN top right for English. Bucharest is listed as Bucuresti (Romania). Tickets must be collected from a CFR station ticket office in Romania such as Bucharest Nord or Brasov, so only use this site for one-way or round trip journeys starting in Romania. Feedback would be appreciated. Alternatively, tickets can be arranged at local prices by agency Paralela 45 Turism, www.paralela45.com. They can source train tickets starting in Bucharest, recommended by several seat61 correspondents. Feedback would be appreciated. A direct train called the Dacia Express leaves Bucharest Gara de Nord at 14:00, Brasov at 16:31 and Sighisoara at 19:12, arriving Vienna Hbf at 08:21. 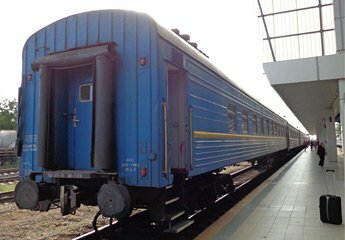 It has a modern air-conditioned Romanian sleeping-car with 1, 2 & 3 bed compartments with washbasin plus several deluxe compartments with en suite shower & toilet, and a couchette car with 4 & 6-berth couchette compartments. A bar-bistro is attached between Bucharest and Arad, serving drinks, snacks and hot dishes, or take your own picnic and bottle of wine along. The scenery through the Carpathian mountains between Ploesti & Brasov is wonderful! Booked online in advance, fares start at €49 with couchette in 6-berth, €59 with couchette in 4-berth, €69 with a bed in a 3-bed sleeper, €90 with a bed in a 2-bed sleeper or €150 with a single-bed sleeper all to yourself. Alternatively, daily all year round, you can take the daily Ister from Bucharest to Budapest as explained above and change at Budapest Keleti onto a smart Austrian railjet train for Vienna. Railjets leave Budapest for Vienna every couple of hours taking just 2h45. Book this train online at the Romanian Railways website bileteinternationale.cfrcalatori.ro. Click EN top right for English. Bucharest is listed as Bucuresti (Romania), for Vienna you should use the German spelling Wien. Tickets must be collected from a CFR station ticket office in Romania such as Bucharest Nord or Brasov, so only use this site for one-way or round trip journeys starting in Romania. Feedback would be appreciated. The Dacia Express at Sighisoara. Sleepers convert from beds to private sitting rooms for day use. Courtesy of Philip Dyer-Perry. The Dacia Express at Vienna Hbf. Always book a couchette, not just a seat. Couchettes convert from bunks at night to seats for day use. 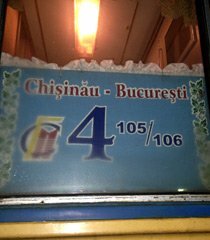 Enjoy an evening beer in the bar car, as a bar-bistro is attached in Romania to both the Ister & Dacia Express. Bar-bistro photos courtesy of Philip Dyer-Perry. A train leaves Bucharest Gara de Nord at 12:40 every day and arrives Sofia central station at 22:20. 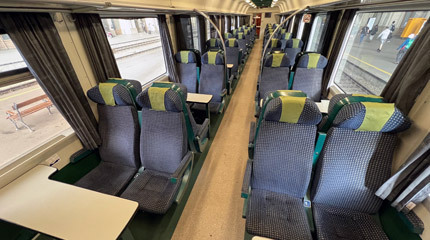 In summer from 7 June to 7 October 2019 this is a direct train with one 2nd class through car. At other times of year you must change at Ruse (arrive 15:25, depart 16:25), taking a modern air-conditioned diesel unit from Bucharest to Ruse then a Bulgarian train from Ruse to Sofia. There's no catering so bring a picnic and some wine or beer. It's a lovely scenic ride, crossing from Romania into Bulgaria over the Danube between Giurgiu & Ruse on Europe's longest steel bridge, 2.5Km long, then meandering at slow speed through the valleys of Bulgaria. The fare is €34 standard tariff, bought at the station or online. Book this journey online at the Romanian Railways website bileteinternationale.cfrcalatori.ro. Click EN top right for English. Bucharest is listed as Bucuresti (Romania). Tickets must be collected from a CFR station ticket office in Romania such as Bucharest Nord, so only use this site for one-way or round trip journeys starting in Romania. Feedback would be appreciated. A direct Bucharest-Istanbul train runs from 9 June to 7 October 2019, leaving Bucharest Gara de Nord at 12:40 every day, arriving Istanbul Halkali at 07:40 next morning. A free transfer bus is laid on by Turkish Railways from Halkali (25km west of central Istanbul) to Istanbul Sirkeci station in the city centre, you will arrive at Istanbul Sirkeci around 09:00. 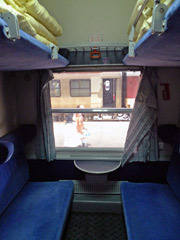 The train has a modern air-conditioned Turkish couchette car with 4 berth compartments. Update: From 13 March 2019 a suburban train service is now operating between Halkali, Istanbul Sirkeci in the city centre (the new underground Marmaray station, not the historic station above-ground), through the Bosphorus rail tunnel to Söğütlüçeşme (for high-speed trains to Ankara & Konya) and beyond. You can now complete the journey to central Istanbul by rail. These Marmaray trains run every 15 minutes, journey time 49 minutes, fare around TL 3.25 (€0.60). The fare is €37.20 for a ticket + €14 supplement for a couchette in 4-berth compartment. It's a great journey, a scenic trundle across Romania and Bulgaria. You'll cross from Romania into Bulgaria over the Danube between Giurgiu & Ruse on Europe's longest steel bridge, 2.5Km long, then meander at slow speed through the valleys of Bulgaria, including a descent of the lush green Shipka Pass, calling at Veliko Tarnovo (the ancient capital of Bulgaria, well worth a stopover) at 20:43, see photos & an account of the journey on the London to Turkey page. There's no catering car, so bring a picnic and some wine or beer. Be prepared to get off the train at the Turkish border at Kapikule late at night to have your passport stamped, it arrives Kapikule at 03:16 Turkish time & departs 03:50. Buy tickets online at the Romanian Railways website bileteinternationale.cfrcalatori.ro - this should be able to book this journey in summer when the direct couchette car operates. Click EN top right for English. Bucharest is listed as Bucuresti (Romania), for Istanbul you should enter/select Halkali (Turkey). Tickets must be collected from a CFR station ticket office in Romania such as Bucharest Nord, so only use this site for one-way or round trip journeys starting in Romania. Feedback would be appreciated. Step 1, travel from Bucharest to Dimitrovgrad in Bulgaria on a series of connecting trains, leaving Bucharest Gara de Nord at 12:40 on an air-conditioned express railcar, changing at Ruse (arrive 15:25, depart 16:25) & Gorna Orjahovitsa (arrive 18:20, depart 20:25) to arrive Dimitrovgrad at 00:15. It should all go like clockwork. Just before Ruse the train crosses the Danube between Romania & Bulgaria on the world's longest steel girder bridge, 2.5 km long. You then meander through the lovely scenic valleys of Bulgaria into Turkey. Bring your own supplies of food and beer as there's no catering car. But it's a lovely ride, have your camera handy. If you want to stop off at Veliko Tarnovo, the ancient Bulgarian capital for 24 hours, the train calls there at 20:42 and it's well worth a stop. Step 2, travel from Dimitrovgrad to Istanbul on the Sofia-Istanbul Express, leaving Dimitrovgrad at 00:44 and arriving Istanbul Halkali at 06:49 next morning. 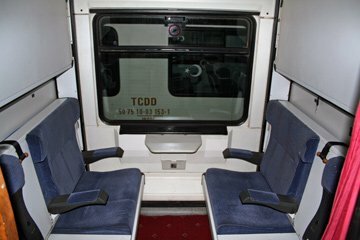 This train has comfortable Turkish TVS2000 air-conditioned sleeping-cars with 1 & 2 bed compartments and a Turkish TVS2000 air-conditioned couchette car with 4-berth compartments. Step 3, Halkali is a suburban station 25km west of Istanbul. A free transfer bus is laid on by Turkish Railways from Halkali to Istanbul Sirkeci station, you should arrive at Istanbul Sirkeci at 08:00. Update: From 13 March 2019 a suburban train service is now operating from Halkali to Istanbul Sirkeci in the city centre (the new underground Marmaray station, not the historic station above-ground), through the Bosphorus rail tunnel to Söğütlüçeşme (for high-speed trains to Ankara & Konya) and beyond. These Marmaray trains run every 15 minutes, journey time 49 minutes, fare around TL 3.25 (€0.60). You can now complete the journey to central Istanbul by rail. Bucharest to Gorna Orjahovitsa costs €21. Gorna Orjahovitsa to Dimitrovgrad fare is not known, but likely to be peanuts. Dimitrovgrad to Istanbul costs around €19 for a 2nd class ticket + either €10 for a couchette in a 4-berth compartment or €15 for a bed in a 2-bed sleeper. 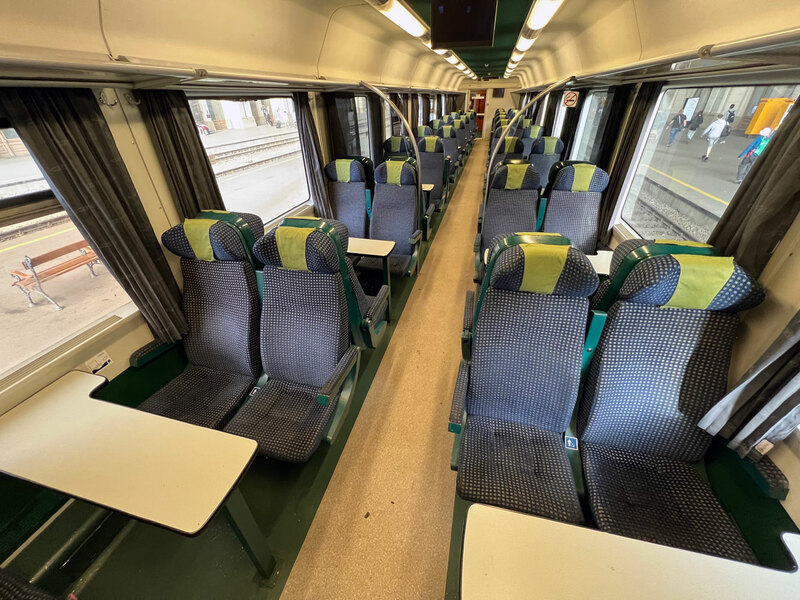 Sole occupancy of a sleeper costs around €28 for a 1st class ticket + €35 sleeper supplement. To buy tickets, first try booking Bucharest to Dimitrovgrad at the Romanian Railways website bileteinternationale.cfrcalatori.ro (as it won't book all the way to Istanbul). Click EN top right for English. Bucharest is listed as Bucuresti (Romania). When I've tried this it has refused to book to Dimitrovgrad and produces an error message, so plan B is to book from Bucharest to Gorna Orjahovitsa, which should work. You've then plenty of time at the station when you arrive in Gorna to buy an onward ticket to Dimitrovgrad (or even to Istanbul Halkali if they can sell it, feedback appreciated). At Dimitrovgrad you'll need to approach the sleeper or couchette attendant to pay for a free berth and if necessary a Dimitrovgrad to Istanbul ticket. Don't worry, there are almost always places available even on the day. Bucharest-Istanbul couchette car: Between June & September there is a direct air-conditioned Turkish couchette car between Istanbul Halkali and Bucharest with 4-berth compartments, as shown above. The seats convert to flat bunks with rug, sheet and pillow. There is no longer a direct train between Bucharest & Belgrade, but it's easy to travel between these cities in comfort by train. It's difficult to find online as www.bahn.de/en doesn't recognise the local route via Vrsac, so listen up! Daily except Sundays, two local trains link Timisoara in western Romania with Belgrade's lesser-known Dunav station. The journey involves one easy change at the border at Vrsac. Timisoara Nord depart 07:48, arrive Vrsac 08:52, change at Vrsac, Vrsac depart 09:40 arriving Belgrade Dunav 11:23. But see update above! Timisoara Nord depart 16:36 arrive Vrsac 17:35, change at Vrsac, Vrsac depart 18:25, Belgrade Dunav arrive 20:08. But see update above! 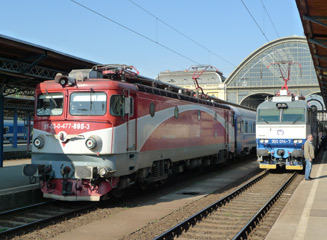 To connect with these trains, either take a day train or the overnight sleeper train from Bucharest to Timisoara Nord, you can book this section at www.cfrcalatori.ro. Buy tickets from Timisoara to Belgrade at the station in Timisoara, fare 42 RON (about €9), no reservation needed for this bit, and no online or advance booking possible. A comfortable and inexpensive sleeper train called the Prietenia leaves Bucharest Gara de Nord at 19:15, calling at Ungheni (the Moldovan frontier) from 05:02 to 06:49 and arriving at Chişinău at 09:27. 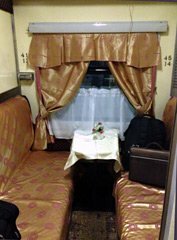 It has 2-berth 1st class (spalny vagon) and 4-berth 2nd class (kupé) sleepers of the Russian style. 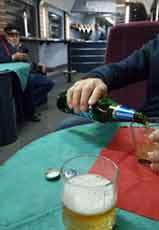 There is a bar car selling snacks and drinks, but no restaurant, so take your own provisions along. This train runs every day, although it has had periods of running less than daily in recent years. In the return direction it leaves Chişinău on at 16:56, arriving Bucharest Gara de Nord at 06:07. 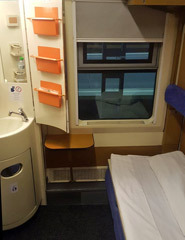 The fare is only 134 Romanian Lei (around €25) one-way at standard tariff with a bed in a 2nd class 4-berth sleeper, or around 155 Lei (about €34) in 2-berth sleeper or 282 Lei (€€61) in a single-bed sleeper all to yourself. Booked in advance online, you may find special fares for a bed in a 4-bed sleeper from just 89 Lei (€19). Option 1, it can now be booked at the Romanian Railways website, bileteinternationale.cfrcalatori.ro. Click EN top right for English. Bucharest is listed as Bucuresti (Romania). Chisinau is listed as Kishinev (Moldova). Tickets must be collected from the station ticket office at Bucharest Nord (so don't use it for one-way journeys starting in Moldova). Option 2, it can also be booked at the Moldovan Railways site https://on.railway.md:10000/?lang=en, now available in English. It can book the train in either direction with print-your-own tickets, it accepts foreign traveller passport numbers, and it has now been confirmed by several travellers that it works fine with international Visa & MasterCard credit cards. Further feedback always appreciated. Alternatively, you can book the Bucharest to Chişinău train in person at the international booking office at Bucharest Nord station as there are almost always plenty of places available even on the day. 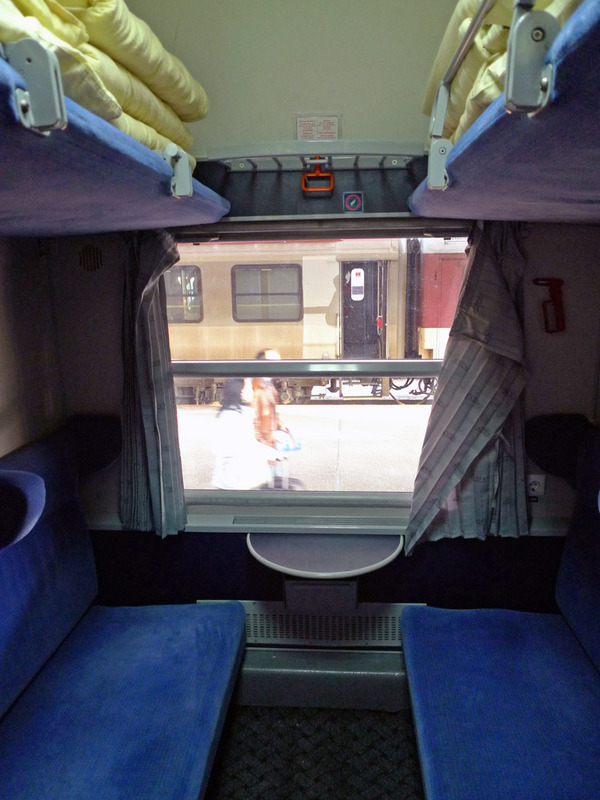 Step 1, travel from Bucharest to Budapest by day train or overnight sleeper as shown above. Step 2, then take a train from Budapest to Bratislava, Prague, Berlin Krakow, Warsaw as shown on the International trains from Budapest page. 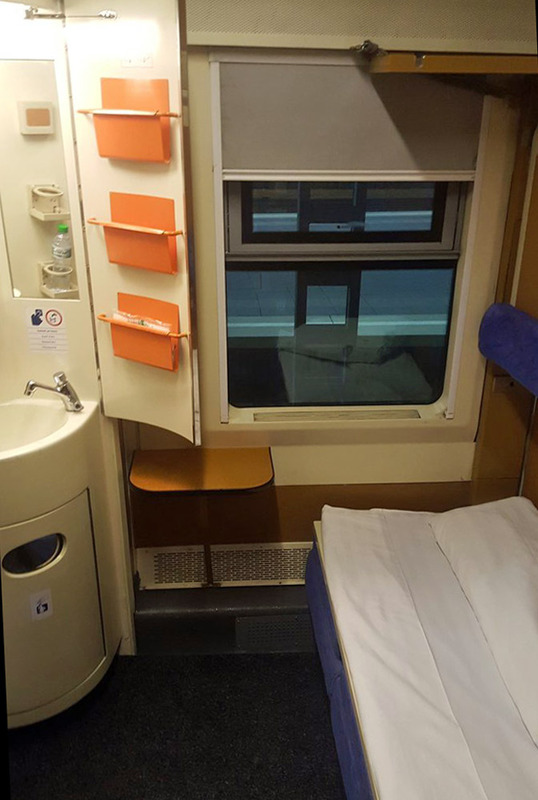 There are day trains and in some cases sleepers - so you could spend a day in Budapest between the sleeper from Bucharest to Budapest and another sleeper train from Budapest to Berlin, Krakow or Warsaw. Or you could take the day train from Bucharest to Budapest, stay overnight, then take a day train from Budapest to Prague, Berlin, Warsaw, Krakow. I'd allow at least an hour, preferably 90 minutes or more between trains in Budapest in case of any delay. See the London to Romania page for detailed times, routes, fares & how to buy tickets. Simply look for the inward train times and disregard the Paris-London part of the journey. Tip: The Romanian Railways website bileteinternationale.cfrcalatori.ro will - remarkably - book journeys from Romania as far afield as Paris, but it usually applies expensive standard-tariff fares for parts of such journeys outside Romania. You're usually better off using bileteinternationale.cfrcalatori.ro to book from Romania to Budapest or Vienna, then using a site such as www.trainline.eu to book from Budapest or Vienna to Germany, Paris and so on. Step 1, travel from Bucharest to either Budapest as shown above or Vienna as shown above. Step 2, then take a train from Vienna to Munich, Cologne, Brussels, Amsterdam, Zurich, Venice, Florence, Rome or Barcelona as shown on the International trains from Vienna page. Or there are sleeper trans from Budapest to Munich & Zurich as shown on the international trains from Budapest page. I'd allow at least an hour, preferably 90 minutes or more, between trains in Vienna in case of any delay.